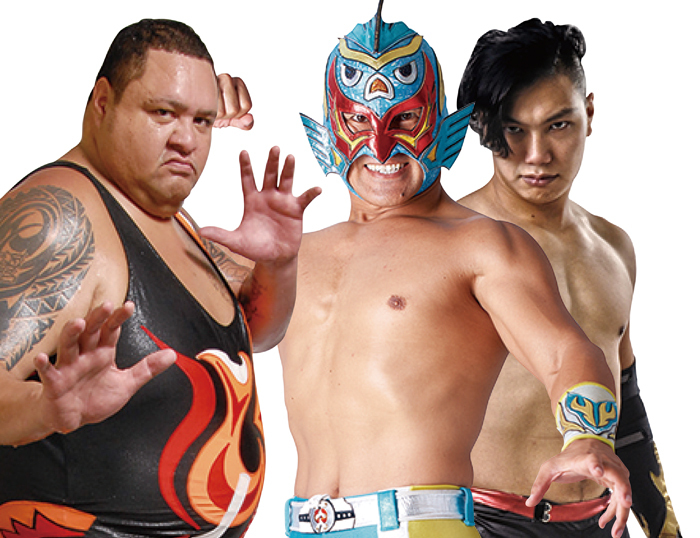 Akebono, Gurukunmask and Rekka are ready to fight. 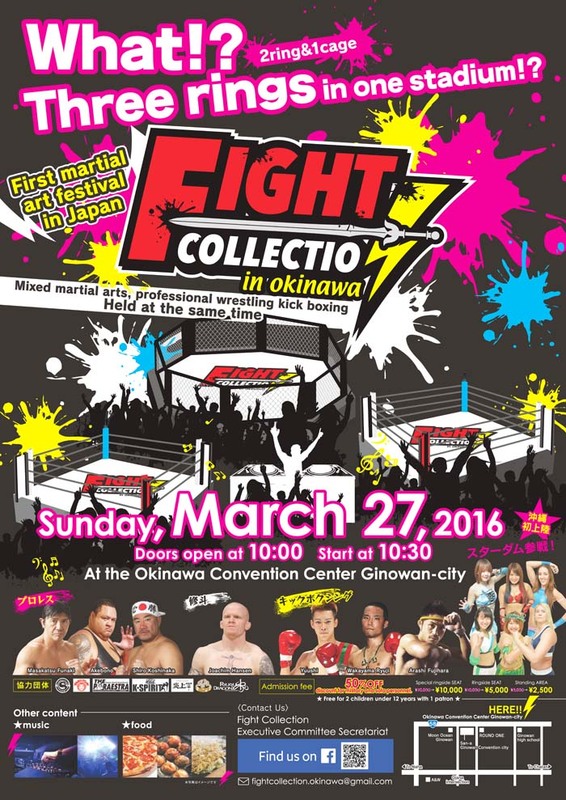 A very special event is in the cards for lovers of combat sports in Okinawa as the Fight Collection Okinawa takes over the Convention Center main hall on Sunday, Mar. 27th. The action in the all-day event starts at 10:30 and the rumble does not end before 20:00 in the evening. The event consists of non-stop action mix of sports, music, arts, dance and food. Organizers say this is an event that no one should miss regardless of gender or age. The day’s program showcases more than 50 martial arts athletes, both pro and amateurs, who battle in two rings and one cage in mixed martial arts, kick boxing and pro-wrestling. The fighters include such familiar names as Akebono, the former sumo grand champion and current pro-wrestler, and MMA star Joachim Hansen of Norway. The MMA fights include five matches by professionals and six amateur contests, pro-wrestling matches including 3 on 3 and women’s bouts, eight boxing and eight kick boxing matches and more. Live music performances are scheduled to warm up the audience before the matches. On a separate stage, top DJs have their own battle over who rules the spin. The event also features the very first Okinawa Junk Food Festival that features junk foods from all over Japan. And as the name suggests, the taste is guaranteed to be delicious, but the nutritional value is not. The event is the first of its kind in Japan. Doors to the Convention Center open at 10:00 and the venue closes at 20:00. Advance tickets to the event for standing areas ¥5,000. 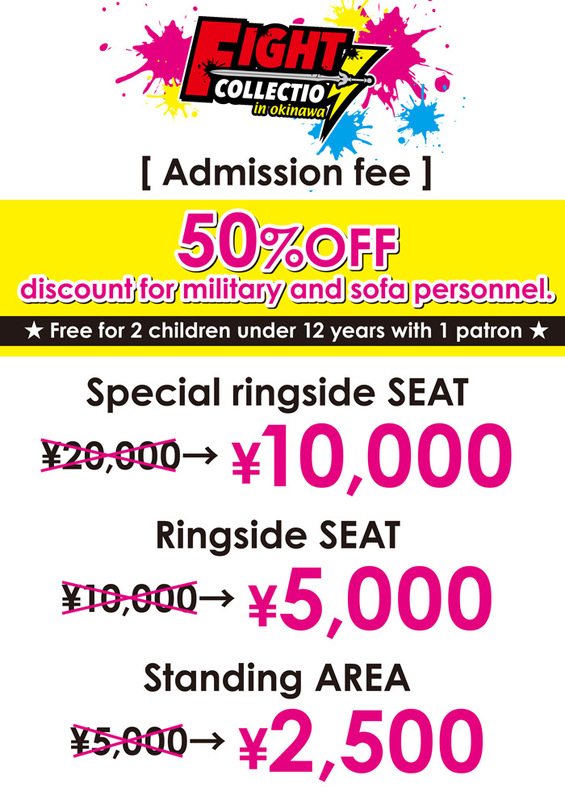 Ringside tickets are ¥10,000 and special ringside seats ¥20,000. Tickets at door cost ¥1,000 more. Tickets for junior high and high school students and disabled persons cost ¥2,500 in advance and 3,000 at door. Special 50 percent discount on ticket prices are offered for U.S. Military and SOFA personnel. Advance tickets are available at FamilyMart “Famiport” terminals and Rakuten online. For instructions on how to buy tickets on the FamilyMart “Famiport” terminals, send a message. Cash only, no credit cards. Tickets are also sold at kick-boxing fitness RIOT Gym at 15-2-1 Aichi, Ginowan City, and The Paraesta at 1-21-2 Yogi, Naha City, Ltd. enve, 2-7-12 Isa, GN Building 1F, Ginowan, tel. 98-890-5557, and hair＆make Loyd, Depot Island Building B2, 9-1 Mihama, Chatan. Japan Update raffles tickets for two couples. Apply on JU facebook page or email info@japanupdate.com to participate.